As part of my 2017 reviews, I'm going to discuss the Vortex Venom 3 MOA Red Dot. Mounting a huge NightForce or Sightron Scope I have on my long riles is just not an option for this light weight competition rifle, a compact micro red dot is preferred. There are lots of red dots to choose from at different price points. Having used a variety of high end red dots from known reputable manufacturers, I wanted to try something different and more compact to shed as much weight as possible for this 3-Gun build. None of the high end red dots I own fit the weight requirement so after some research, Vortex was a clear winner for me for a number of reasons I'll digress below. There are many optics options, specifically red dots to choose from these days. There are a lot of imitation red dots from overseas flooding the market at a fraction of the price. Word of caution, you get what you pay for, do not be surprised if the knock off fails or just doesn't perform as expected. Personally, I have never owned a knock off and will not waste my time testing and reviewing one. However, I do know a few people who went down this route to only regret their decision. Choosing the right red dot is a challenge with so many different manufacturers offering a variety to choose from including Vortex. Understanding the application for which you will be using a red dot and the type of red dot is imperative. What exactly is a red dot and how does it work? To pick the right red dot, you need to be informed how a red dot works, and some of the basic terminologies you will encounter from marketing data. 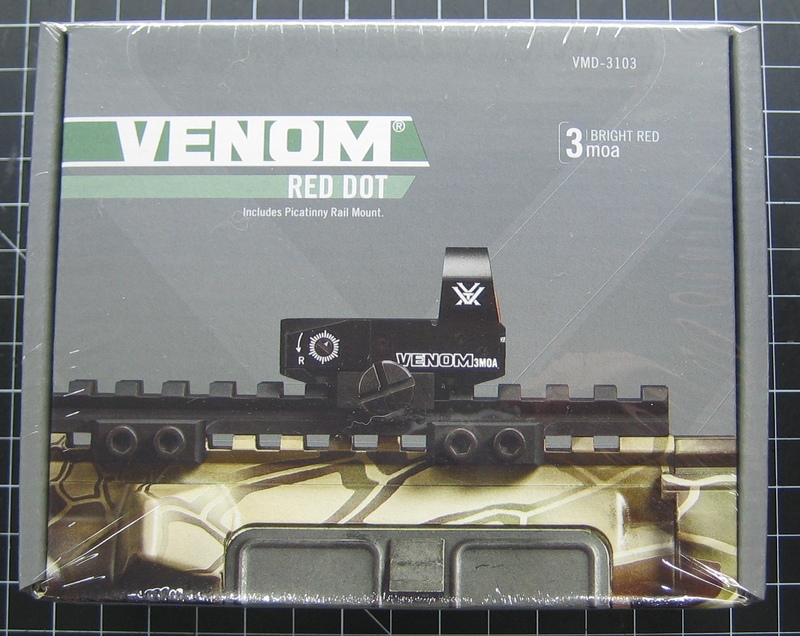 There are different types of red dots, the most popular similar to this Vortex Venom, is a reflector sight or reflex type. A light emitting diode (LED) is the primary light source emitting a red wavelength of light, projecting on a tinted objective lens. Some red dots depending on design, bounce light between multiple lenses before reaching the objective lens. The objective lens is tinted to help reflect the wavelength of LED output, at the same time blocking specific spectrum of light. This is by design, to reflect the reticle back to the operator, and prevent other natural light frequencies to flood out the reticle on the objective lens. Otherwise, visibility of the reticle would be hampered or nonexistent depending on light conditions. If you look at a red dot lens from the muzzle side, you will hardly be able to see the reticle at all. Red dot reticle is an option which is far too subjective. Reticles come in different shapes, sizes, and colors. Personally I prefer a simple red reticle red dot, Vortex Venom is available in red reticle at either 6 or 3 MOA. MOA is minutes of angle, it is a reference of size in relation to distance. One MOA is 1" at 100 Yards or 0.5" at 50 yards or 2" at 200 yards. For tight groupings a smaller MOA is ideal, which is why I opted for Venom 3 MOA. Generally, anywhere from 1-6 MOA is what will be offered in popular reflex red dots. Red dot objective lens is usually not magnified, choosing the right MOA for a target distance is important. There are magnifiers for red dots, I had one on my Holographic red dot, it adds significant weight, and not a viable option for a light weight build. "All red dot and holographic sights will exhibit some small amount of parallax. Matching current industry practice, this small amount would be considered “parallax free” and will make a negligible difference in the Venom's performance." This is important to note, given it is virtually impossible to be 100% "parallax free". 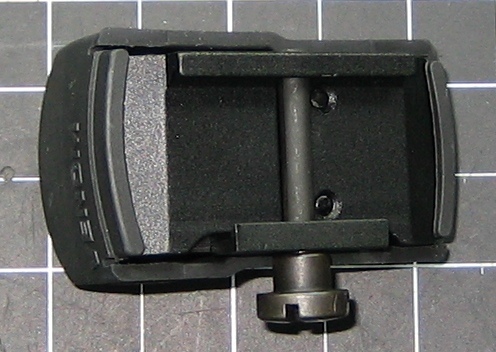 High quality scopes have a parallax knob to help compensate for both linear and angular parallax at different distances. A red dot on the other hand is tuned to compensate for angular parallax with a fixed linear range. Outside the optimal range, linear parallax is present. Venom wide field lens is exceptional, unlike tubular style red dots, it is wider and therefore easier to mark the reticle on target. At the range, I jumped back and forth between a tubular red dot and this Venom red dot, it was much faster with the Venom to acquire the target in my opinion and experience. Since this is a non magnified red dot intended to be used with both eyes open, there is no concern about field of view, unlike a magnified scope or red dot. This brings up the next feature, unlimited eye relief, Venom can be mounted as close to the rail aft or away from the operator, depending on preference. Eye relief is directly related to the field of view, it is the distance between the eye and objective lens the operator can obtain the full viewing angle. 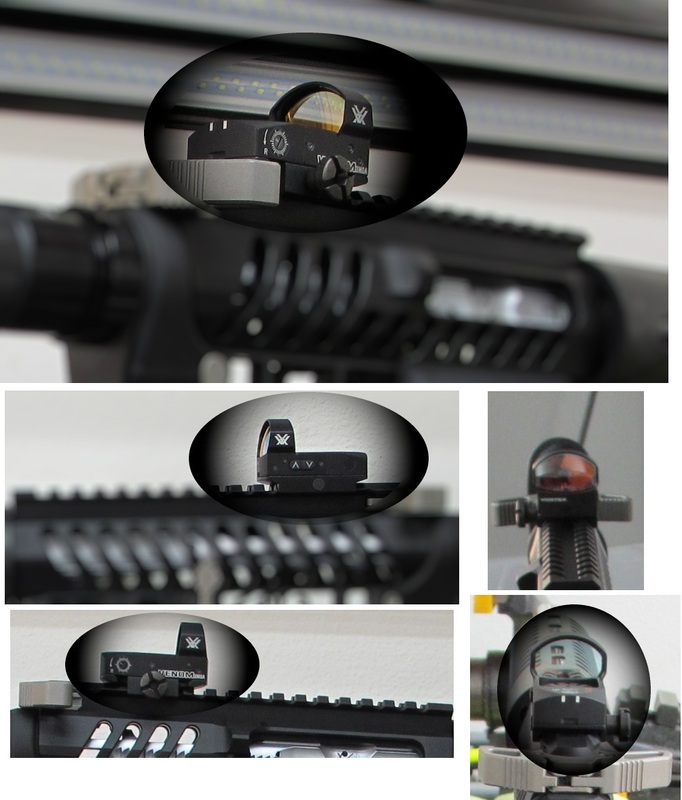 Venom does not have a magnified lens, there is no concern with field of view or eye relief mounted anywhere on the AR15. Venom has 10 different levels of reticle brightness to choose from manually. There is also an option for auto adjustment which has its benefits and drawbacks. The auto adjust uses a light sensor to automatically adjust the brightness based on ambient lighting. This is beneficial on those long hunting trips or range sessions which start in the morning and end late in the evening. At the same token if you solely depend on the auto shut off feature you will be wasting battery if you don’t cover the red dot. Even with the cover on, it sets the reticle to the lowest brightness and shuts off after 14 hours. If there is an area for improvement, this is one in my opinion. It is a novel approach but not optimal for maximum battery savings. I prefer the manual option, perhaps a hybrid use of these options, using Auto while operating the weapon, than switching to Manual to force a complete shut down. At the lowest setting the battery is advertised to last 30,000 hours and 150 hours at the highest setting. The argument for auto adjust feature is the advertised 30,000 hour battery life. Changing the CR1632 battery is easy with a top load sealed door and simple flat head screw driver. Vortex provides all the necessary tools to service this red dot but if you are like me, I carry a multi-tool which contains a flat head screw driver and some torx/hex bits. I used this red dot at the range for a whole day on a lower brightness settings, I measured the battery voltage with my multi-meter before and after the session. The delta in voltage was in the hundredths, the 3V battery in the morning measured 3.251VDC, at the end of the day after ~12 hours it measured 3.250VDC. That is pretty remarkable since I didn’t turn it off the entire session. I’m less concerned if I forget to switch between auto adjust to manual mode to force a shut down. Venom is designed to withstand shock and recoil from just about any hand gun, shotgun or rifle, making it a versatile option. The ranges I frequent are all outdoor so it is nice having this red dot completely sealed from the elements. I expect this red dot to last a long time. Zeroing in the Venom is no different than any other red dot or scope. There are both elevation and windage adjustment dials. I prefer digital buttons rather than mechanical dials similar to the brightness adjustment, but the dials are not too bad compared to other red dots. My high end Holographic sight dials are less than stellar in my opinion. The Venom dials on the other hand provide a light tactile feedback which is very helpful in keeping track of changes. I'm not a huge fan of the placement of these dials in red dots. By that I mean they are not very intuitive, although this more of a universal design with most, not all optics. Instinctively the elevation dial should go on the side, so you can rotate the dial Up or Down for elevation changes, on the Venom and other optics this is on top. This is due to the nature of mechanical design on optics and the location of reflective lenses which are used to control windage and elevation in relation to the housing. The light tactile dials of this red dot make it easy to help keep track of MOA adjustments, which is 130 MOA for max elevation and 100 MOA for max windage. Using the supplied tool and my multi-tool it took just a few elevation adjustments to get on target at 100 yards while windage adjustment was spot on out of the box. Overall I’m happy with the adjustment dials compared to my more expensive red dot. 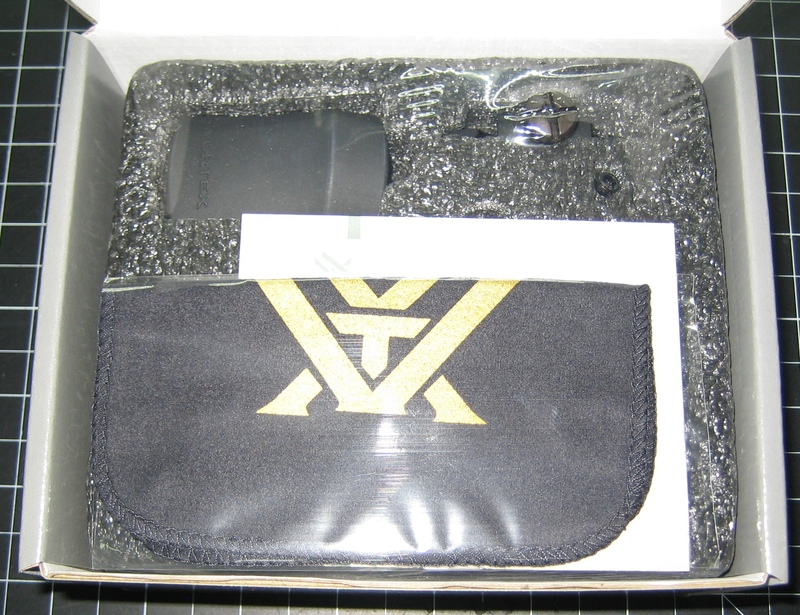 Unboxing the Venom, you will find a number of accessories and tools. There is a torx wrench to fasten the red dot to provided picatinny mount, also a spare screw which is rare for a manufacturer to offer. 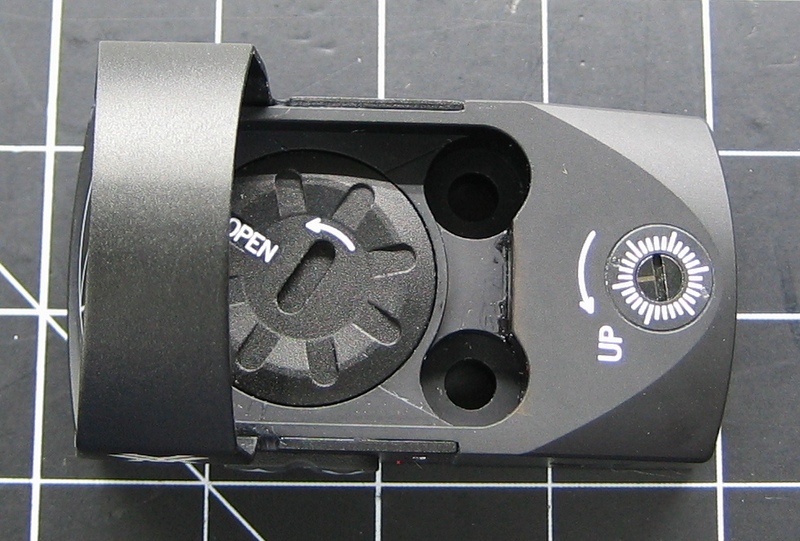 A double ended screw driver for opening the battery door and adjusting windage and elevation dials. There is also a micro fiber cloth for cleaning the objective lens and protective cover which fits the Venom like a glove. 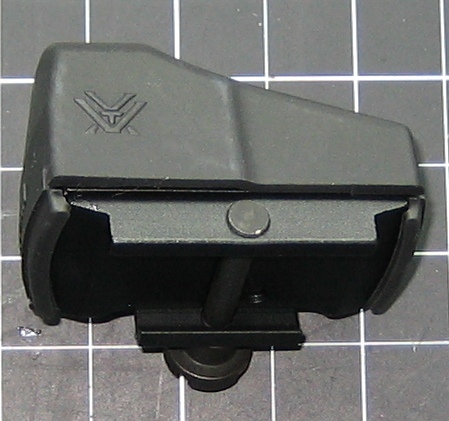 Venom comes with a low profile picatinny mount, if you want to co-witness to lower 1/3 of iron sights, Vortex offers a riser as an option and you can even mount this to a quick release mount from American defense if you don’t mind the added weight. For my setup the provided mount is slick light and perfect for what I’m trying to achieve. 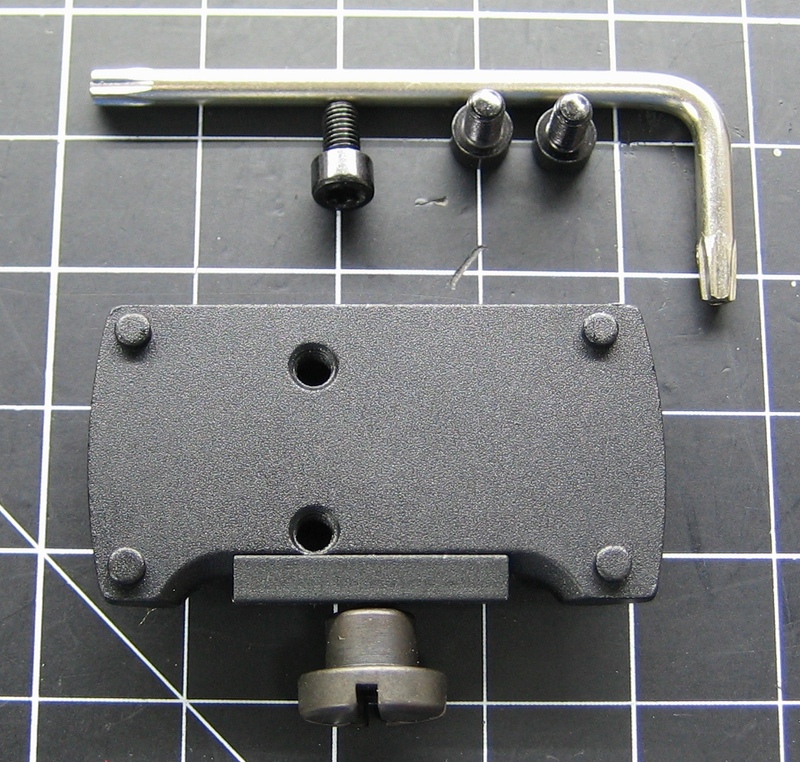 The mount has a single screw on one side which tightens a mobile bracket against the rail. The screw is big enough and easy to grab without any tools and hand tighten. 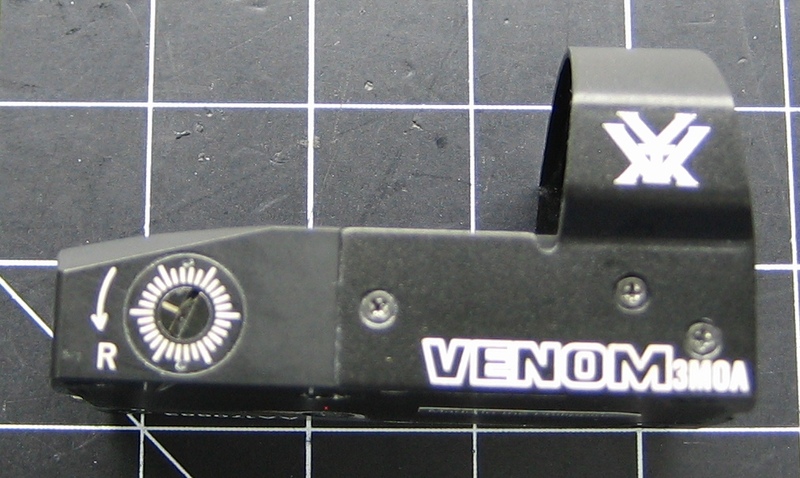 I chose this Vortex Venom red dot due to the low profile and low weight design at 1.73oz with provided mount. Most importantly is the Vortex iron clad warranty. 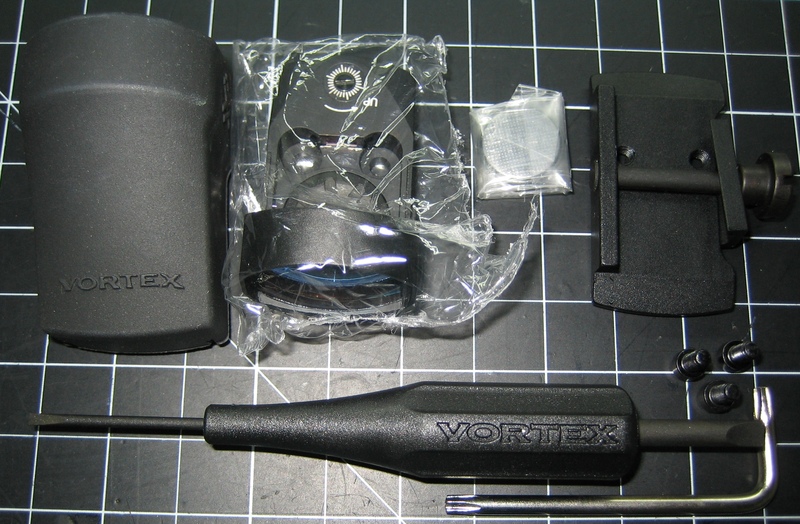 Vortex has an infamous generous warranty unlike most manufactures. What it means as an owner, if anything happens to the red dot regardless of how old it is, they will repair it or replace for free of equal or better physical condition. The unlimited lifetime warranty is hard to come by when it comes to anything containing electronics these days. Vortex not only offers a generous unlimited warranty, they also don't hold the warranty against the original owner of the product. 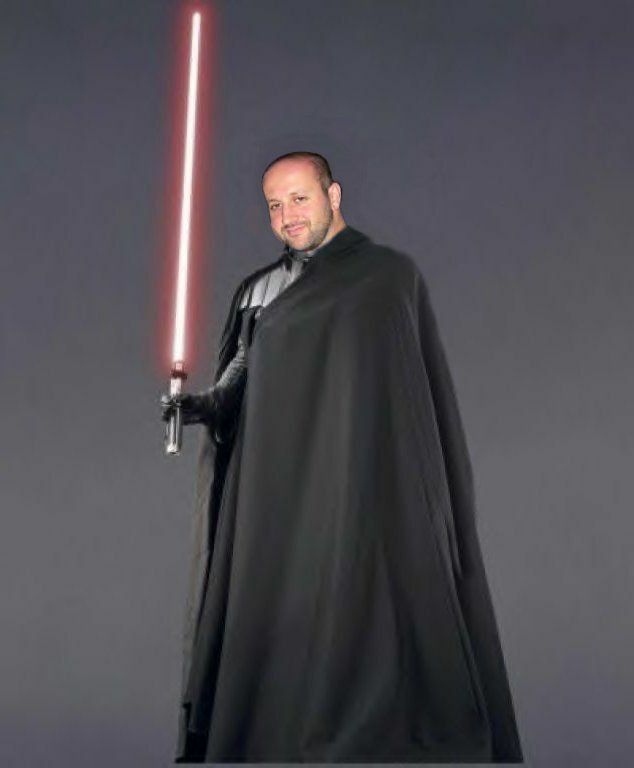 It is fully transferrable and best of all, there is nothing to fill out. No warranty card to mail, or online registration forms to fill out. Don't have your receipt, not a problem, Vortex simplifies the whole process because they stand behind their products. This is the primary reason asides from the performance and light weight design, I believe the Vortex Venom is a great red dot and a clear winner for my setup. As I have said in my past reviews, I only review products I believe are worthwhile using on my own personal firearms. 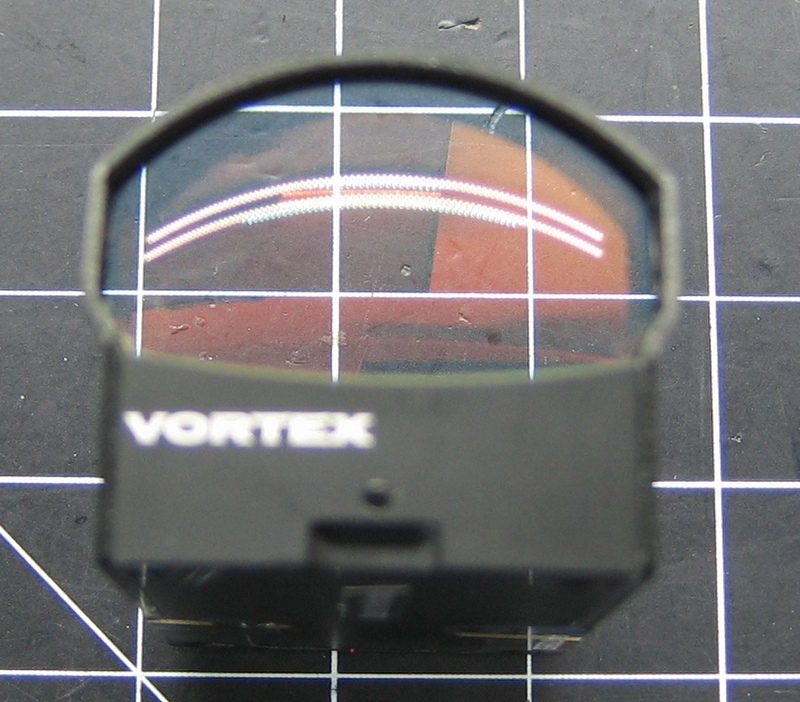 I do not have the time to review random products, by choosing this Vortex Venom micro red dot says a lot about the product itself for me consider reviewing. I don't endorse products I don't personally use and this is no exception. 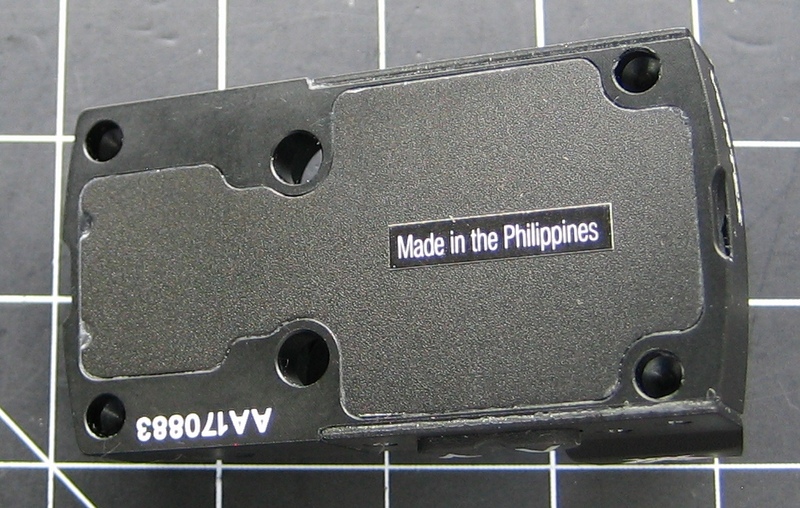 My only gripe is this is not built in the U.S., but as expected, most electronics are assembled overseas. 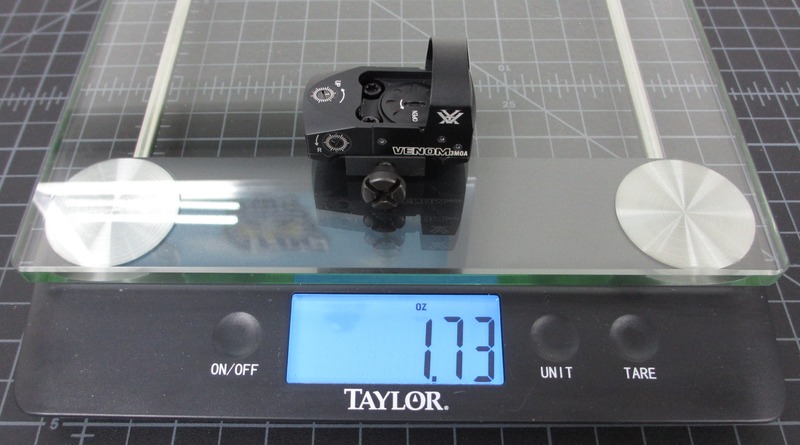 If you are in the market for an affordable light weight micro red dot with an amazing lifetime warranty look no further. The way a reflex sight works is not via tinting the lens. The most common approach is to have a narrow band reflective coating on one surface of the "window" lens that you look through. The coating is matched to the illumination source (LED), so that most of the light the LED emits is reflected. The shape of the "window" lens can vary, but typically it is either a spherical or parabolic shape. Often, it is a meniscus shape with dichroic coating on one side. That helps correct some of the spherical aberrations. The LED does not have to be red. There are some reflex sights out there with green color dots and the reflective coating on those red dot sights is designed to reflect a narrow band within the green portion of the spectrum. Reflex sights that offer both red and green illumination, have both coatings on the reflective optic. As far as the battery goes, unless the battery is ready to give up the ghost, you typically will not see much change in voltage. If you are trying to see how the battery changes, measure current instead. Internal resistance of a battery changes fairly gradually with use, so the current the battery produces gets progressively lower. To address some of your comments, yes there are different color led red dot sights, which is what I stated in the review the shape, color and size of the reticle vary depending on manufacturer. I also stated the wavelength of led output indicating the possibility different colors. You are correct about the narrow band reflective coating which I referred to in a less technical manner as tinting/coating. While I agree using an ESR meter is the proper way to test a lithium battery, most people don't even know what an ESR meter is yet alone own one. The proper load on a CR1632 is with a 15k resistor but that is far to complicated for most people to deal with so even though nominal voltage is constant on these type of batteries you can still get a good idea of how much life is left with a simple voltage test as it does progressive lower with capacity in a linear fashion up to the point of drop off. I'm pretty hung up on Aimpoint (and have a Leatherwood red dot I like pretty well), but your review offers an interesting perspective. Well put together and informative. Thank you for your efforts. My next "round" with red dots, I may have to give this one a try. If you get 3.25vdc reading or so on those batteries with a multimeter it's a pretty safe bet you're good to go.